To those who followed the blog (and thank you muchly! ), this space is going to be dedicated to another project that I’ve worked at for many years: This family’s history and the characters in the photo stashes and photo albums of my grandmothers. This will be a place to record and share the information that I’ve gathered for more than eight years — much longer if my fifth grade genealogy project counts as the true start. And prior to that, the two portraits hanging in my grandmother’s hallway were heavy influences – with one of those countenances yet to be fully explored. Thank you for your indulgence as I write this out for a few interested parties. Frances Lorine Sumner, 1882 to 1920. A doorstop made by a great uncle before 1931. 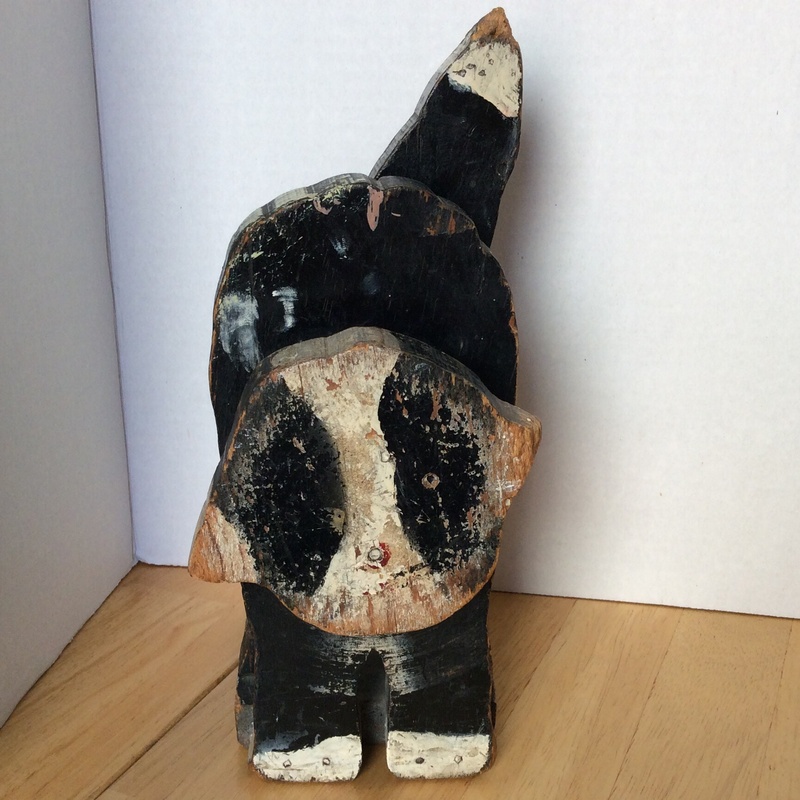 This cat is what I consider my very own folk-art item, and I marvel that he ever came to me. This is a doorstop my paternal grandmother had in her house forever. Through a couple of very unexpected “giftings,” I ended up with him. 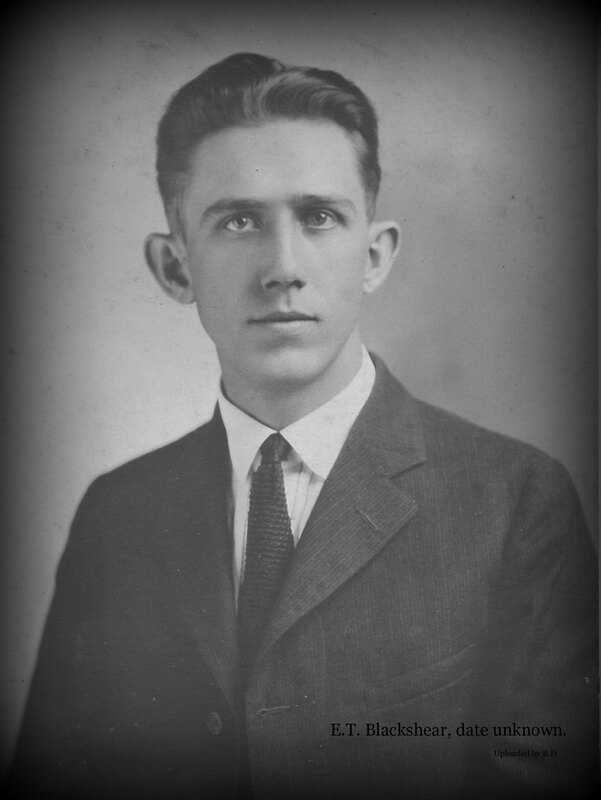 He was made by a very handsome young man named Elijah or “Ligey.” This was my grandmother’s brother, and he worked on boats during the depression then died in 1931. He is listed in the 1930 census as a carpenter on a tanker. It appears from a few letters, since no one has ever really said, that Ligey sent some money home and possibly gambled for it sometimes. When he died, he was away from his family. He has been listed as a mess boy on a ship that docked in New Orleans, but he had kidney disease and was discharged and sent to the Marine hospital where he died. Sadly, the family had moved from Georgia to Florida in the 1920s, and it looks like his mother was unable to travel to Georgia for the burial. This doorstop was used by my grandmother to hold open the front door. Her house didn’t have air conditioning. In the 1980s, 90s, and later, this cat lived a neglected life, sort of just hanging around in a dusty setting. He came to me a few years ago. I displayed him in various ways, but I always used old tattered books as doorstops (the shape and weight make sense to me). When my books were sorted and tidied recently, I told my friend I didn’t have doorstops any more and would have to buy some. I pointed out that I couldn’t use this one, after all. It is art or a sentimental item, but not really a doorstop, was it? So for the past two plus months, the wooden cat is back at his calling – holding open my bedroom door, so my cats don’t accidentally get shut in! Elijah Thomas Blackshear died in 1931 from “Bright’s Disease,” a term for kidney disease.